North American packaging machinery users and OEMs appreciate the clarity of familiar ladder logic programming. But as machine functionalities become more sophisticated, ladder programs can become too complicated, even when supplemented by function blocks. Modular application (mapp) technology from B&R maintains familiar, IEC compliant ladder and function block programming – except with mapp components, more time is spent on configuring rather than programming. 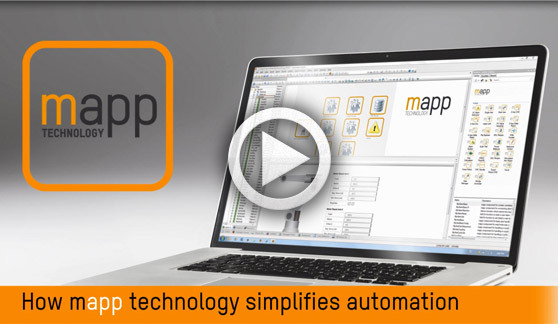 Take the mapp technology video tour.